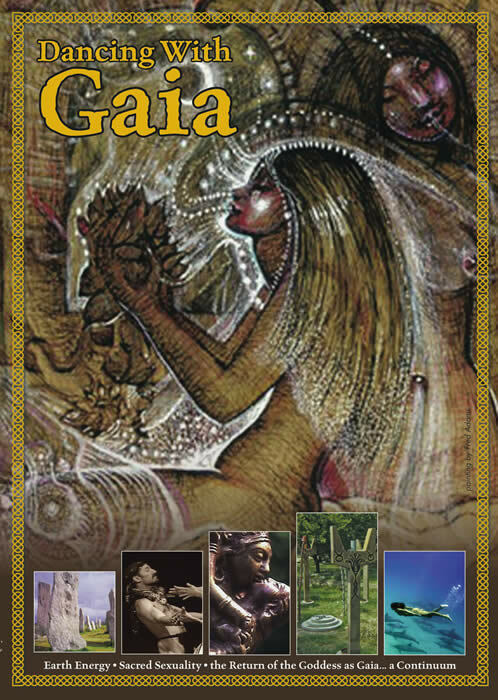 Dancing With Gaia is about connecting to Earth Energies, Sacred Sexuality and the Earth as a living Goddess, as Gaia. photos, contact information and links to their own sites there. You can take a tour of the ancient sacred sites featured in Dancing With Gaia under Stills. The maps have red dots for each site visited, and by clicking on the dots you can see some of the best photos. Stories has responses to the film and some on-the-road highlights of what it took to make Dancing With Gaia. Screenings details news, showings and events. Resources has all the contact info for us. We now have beautiful DVD's available! They come packaged with a 48-page color booklet with useful explanations, inspirations and pictures, on our Purchase page.